BRI Nutrition follows only high standards of quality in their natural supplements product development and processing. They follow the strictest quality control system to be able to test health products they manufacture at various stages, from raw material processing to finished product. With so many variations of weight loss supplements: fat binders, fat blockers, fat burning products, appetite suppressants and more, finding the right weigh loss product that definitely works for you can pose a challenge. Considering that our body compositions differ from person to person, some products may not work and some may do. But with BRI Nutrition's commitment to bringing you only the best possible weight loss supplement that produces tangible results. 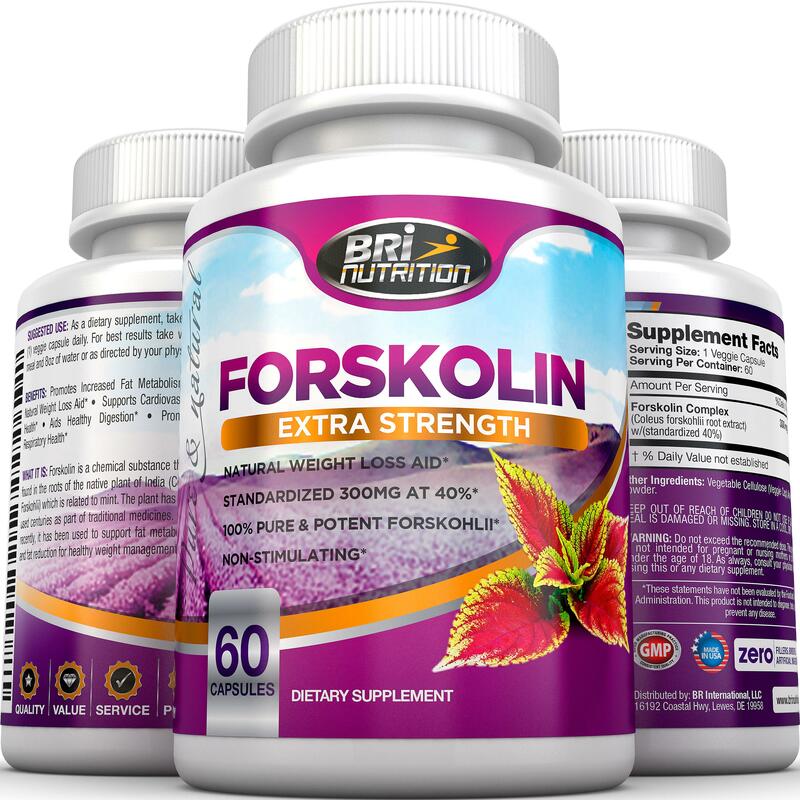 There are so many different Forskolin out in the market. Call us crazy but we do not just want to stuff a bunch of stuff into a capsule, slap a 'proprietary blend' tag onto it like those other guys. I’m kind of a self-proclaimed herbal weight-loss tester. I do struggle with weight issues, and often find myself putting on a few extra pounds in one specific spot: my stomach. Belly fat is by far the hardest to get rid of. Exercise and a change in diet can only go so far, and with a lot of belly fat, you just need something extra to get rid of it. Most herbal supplements on the market help me kick a few extra belly fat pounds in just a few weeks. This product is no different. I go up and down with my weight constantly. 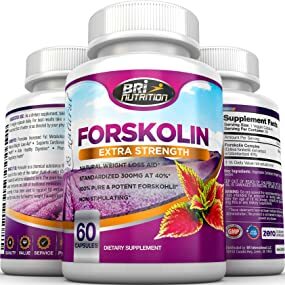 I’ve tried Forskolin before, and was looking for a new brand to try out with this recent bout of weight gain- and this one caught my eye because it has a 60 day guarantee. It took me three weeks to drop an excess 6 and a ½ pounds off of my belly, but within those 21 days I managed to slim right back down to wear I wanted to be. This supplement definitely made that possible. It does all of the things you would expect of weight loss supplement starting with suppressing your appetite. I felt fuller, even though I was eating less. On my ‘diet plans’ I eat 5 small meals a day. Most of the meals consist of very light foods like fruits, vegetables, cheeses, lunch meats, and crackers (basically the cheese plate that you word order on an airplane- haha). BUT, usually these small meals would leave me feeling really hungry and irritated afterwards. I would spend all day obsessing over when I am going to eat next. With this supplement, I can eat my 5 small meals, feel full, feel happy, and focus on other things rather than obsessing over food. 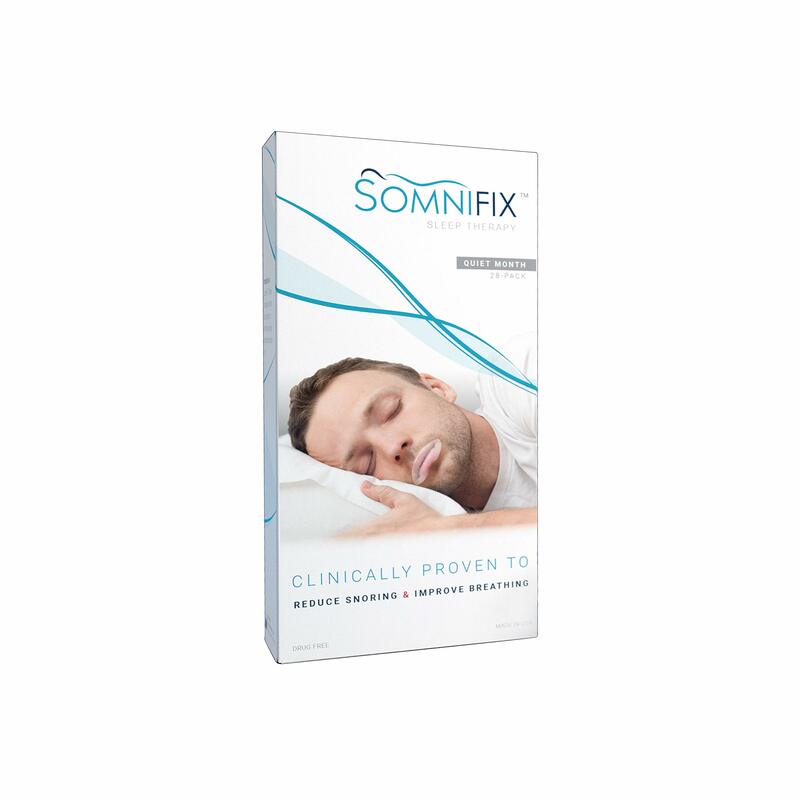 The second positive side-effect this supplement provides is a boost of energy. I feel more inclined to exercise throughout the day because I feel more awake. It’s a very natural energy- similar to a kick you would get from coffee or tea. There is no crash, but just a bit of a boost of energy to get you up and moving. It’s always nice to have extra motivation to get active, and this supplement does provide you with that. But the impressive thing that this supplement did, that I wasn’t expecting, is that it actually helped my cardiovascular health. I tend to have cold feet and hands a lot, but with my new-found energy (and movement) with this supplement my cold hands and feet disappeared. This, according to my doctor, was a direct result of a healthier blood flow- essentially a healthier cardiovascular system. I was not expecting that, and was really impressed with this product for that added bonus! 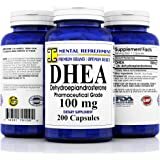 As with all supplements, this product works in combination with diet and exercise. If you’re looking for a bit of help losing weight, along with your already existing weight-loss regimen, I do recommend this product! It certainly can help. 5.0 out of 5 starsVery pleased... Good stuff! I honestly wasn't expecting so much with this... something new to give a try as I'm trying to shed a few holiday pounds. So far, though, I have been more than pleasantly surprised. Within just a short time (a week or so), I just 'felt' more slim in general so I could tell something was going on. Jeans got looser; I could see some weight loss. (I'm pretty slim anyway -- but threw out my good habits during the holidays because I was vacationing. Goal is "slim" not "pretty slim". Ha!) The thing that was really amazing though was the appetite suppressant effect -- which is usually just 'buzz' from most products that claim it. This really, really works for me in that area. I haven't felt as hungry overall and have been having to tell myself to eat dinner or it will be too late to bother, but when I do eat, I feel Full. And for a good while after too. This is while eating healthfully and light! I have just generally felt good while taking this. 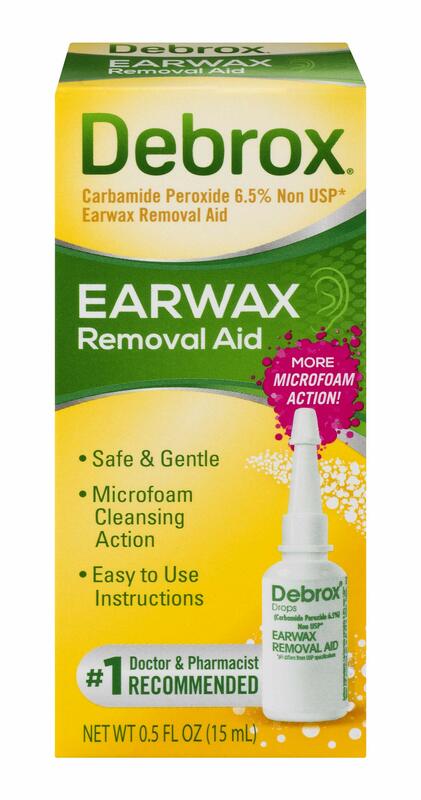 I'm really happy with my results taking this product and I absolutely recommend! Full disclosure... I have taken another brand Forskolin product I bought on Amazon too and they seem to work equally as well. Besides losing belly fat, I had heard about other benefits of Forskolin, like keeping your blood pressure normal. I decided to give it a try. My husband and I both took it, so I only took it for about a month before running out. It DID make me feel better, but I wasn't seeing any weight loss....UNTIL about the last nine days I took it! My stomach got flatter and a couple pair of pants I couldn't wear anymore fit again. So, I would say it takes time. It doesn't work over night. But I'm sold and am going to continue taking it. I would also like to say that I didn't change my diet and I haven't been working out. I probably would have had even better results if I had. So with the next order I will get back to working out. Excited to see the results! 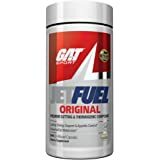 5.0 out of 5 starsGreat product that supports it's claim! I first heard about Forskolin on Dr. Oz (he wasn't brand specific. Just supplement specific). I bought another brand and was less than thrilled. I began to investigate label information and refined my search. 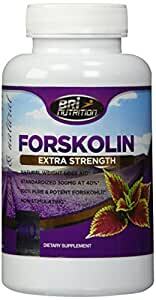 The forskolin has to be a certain mg per dose not all brands have the mg needed for the weight loss claim.This product does. This is not a miracle/fast weight loss pill. You take it as is recommended on the lable, reduce caloric intake, excersice (you'll want to because this pill helps boost your energy) or even do house work (as excersice) and you will lose weight. I've been taking this Forskolin for 3 weeks I've lost 12lbs. I would recommend this to anyone who wants to begin their weight loss journey. I am on various meds so I did check with my pharmacist (not doctor because different doctors prescribe different meds & the pharmacists know EVERYTHING you take ) and was given the greenlight because Forskolin didn't interfere with any of my meds. I will order this item from this company until I lose all I want to lose. Then I plan to order another bottle just to help me maintain the weight I worked off. I bought Forskolin because my trainer had recommended it since he has had a great results. I have always been very skeptical about "Weight Loss" pills until I found this supplement. 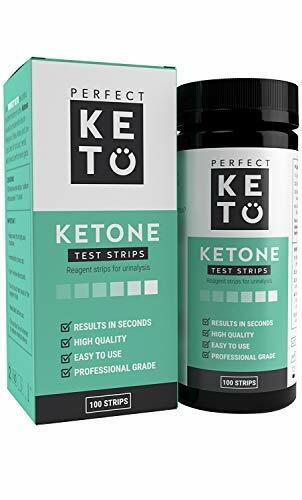 I did some research on this product and I thought it was a good find. I watched all the videos okne about it (even Dr. Oz had a blurb about it). I ordered mine and got it in the mail. I started feeling cleaner and less bogged down within three days! I take it every morning when k wake up and wait about 30 mins to eat. I have lost a ton of weight (I don't have a scale do I don't know the exact number) and I have been able to fit into my pants that were once too small. Not only is this a great product but customer service is so friendly. They have sent me discount coupons and surveys on how I like the product. They truly want me to be happy with the product. This product is a must if you are trying to lose weight or just feel healthy.